I do not look as good as Veit Alex, a male womenswear model — far from it, but occasionally, I receive similar inquiries. If I had to do it all over again knowing what I know now, I would never had married and put my wife through the trials and tribulations of being married to a crossdresser. And not being married, I would have began living full-time as a woman. So why bother living as a man? I love my wife and I am committed to my marriage. She has accepted Stana and although I would be happier living as Stana 24/7, I am happy to occasionally live as Stana. Or is that just a cop out? We only go around once and we should live our lives to the fullest. Am I living my life to the fullest part time as a woman and most of the time as a "man"? Your children believe you made the right choices. And, I bet you do too, every time you talk to them. I met someone many years ago who was in almost an identical situation. She had a very natural femininity and could have made a very smooth transition to full-time. But she was passionately devoted to her wife, who had a recurring chronic illness. No matter how strong the temptation to completely transition, she would not even consider it for a second. She was grateful that her wife understood her need to at least occasionally express that repressed female nature, though she had no interest in seeing her husband en femme. There is a lot to be said for the old chestnut that one should not let the desire the Perfect keep you from obtaining the Possible. Given as I have seen many, many wives and children abruptly left in the dust by trans gurls who get overwhelmed with their desire to live as a female and won't let anyone stand in their way, I think the sacrifices you have made for your wife's sake are understandable and commendable. There is no law that states men and women must look different so if you can look like a woman why do you need to live as a woman. I would love to look as good but live as a man. Women can totally change their appearance with make up but they are still referred to as woman why if a man does the same he is referred to as a woman. 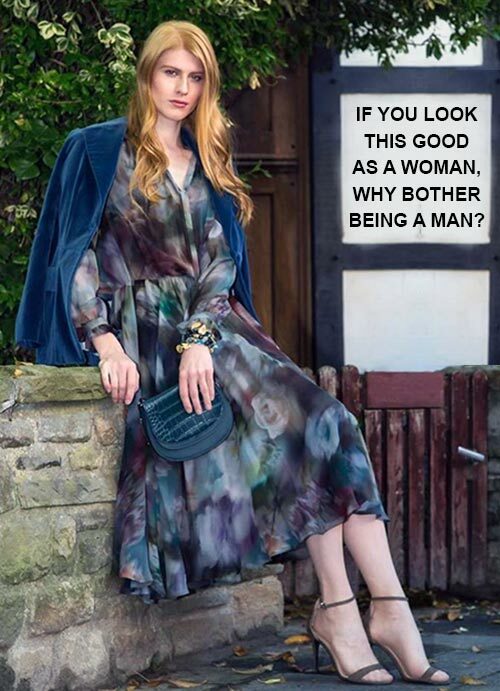 Surely if the look is totally arrived at just using make up and growing hair to suit is that not a man's look as well? I love seeing photos of guys in dresses with make up, looking every inch like a woman, but with that hint of masculinity still visible. I can't see anything wrong with that. Only you can decide the answer to that and nobody can tell you that your wrong. Just remember that your not alone! Sorry to answer a question with a question but these days, what is being a man? I don’t mean that in a bad way. What I mean is, it’s great men can freely explore en femme especially with supportive partners like your wife. It’s healthy. You love your wife and she loves you, she being accepting of Stana. You’re both committed theirin answer. It’s not a cop out. So coming around in a circle the conclusion is your most likely living your life to the fullest as it is now. If you had made different life decisions earlier based on what you know now...... we all have regrets.... life’s short.... don’t dwell on the things you can’t change. My wife was more accepting of me transitioning than what we were going through with me bouncing back and forth. She could see that I was more happy the way I am now, and I had become so miserable that nobody else was happy to be around me, either. She would tell you that she had to mourn the loss of the husband she had (and expected to walk with into the proverbial sunset). We, somehow, adapted, and we plan to find the sunset together still. We're at 46 years in our marriage now, and hoping for many more. I still get a tear in my eye when I see an old couple walking, hand in hand, and so obviously still in love. I realize that I've given up the possibility of that happening for us. We still love each other very much, but not in the same way. I know that we would not be together at all had I continued to deal with my dysphoria the way I had been, however. That's my story, but it doesn't have to be yours or anyone else's. We all are where we are in life because of decisions we've made along the way, and if we find ourselves in a happy place, that's the important thing. 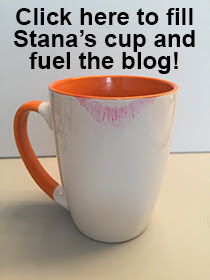 Stana, Joanna and Anonymous have said it for me … each of us have different situations. I guess the big question is what is more important -- the relationship between two people, or the needs of one? And how we answer that depends on the people involved. I’d like to think that our relationship transcends the clothes that I am wearing. How I wish that others could say the same. how fortunate you are Claire good for you! Joanna, I really appreciate that coming from you! Maybe I haven't read the right posts here, but just for background sake, just what specifically are your wife and kids' feelings regarding your transgender status? You've made it clear your wife isn't fully supportive... but how much not? But clearly you and only you can know the right course for you. Does your wife value the choices you have made? Do you have an overall positive loving relationship? Again, only you can know your own heart.